We've talked about the fact that indie publishing is a business. And you know that if you're serious about selling a top notch book you can't go it alone. That's where your indie publishing team comes into play. As a true indie publisher (rather than just a small publishing company with in-house staff), you'll most likely work with independent contractors. You don't have to worry about long-term hiring, withholding income tax, or paying worker's compensation insurance. You can handpick the best contractors for each individual project (the best designer for a children's book cover might not be the same person as the best designer for a business book cover for example). You save money because you only hire people when you need them to complete specific tasks rather than paying a regular salary. Now who exactly should be a part of your indie publishing team? What kinds of professionals might you want to hire as you bring your book to market? Here are several examples of contractors you might need to work with. You may hire all of these people. 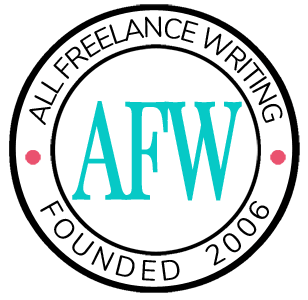 You might be qualified to do some of the work yourself (I work as a freelance business writer, where I handle copywriting on a regular basis so I wouldn't hire a copywriter, and I used to run a PR firm so I can handle that end for example). And some projects simply don't need some of these people (a developmental editor would be more for a novel than a nonfiction book). I've yet to meet an author who can honestly do all of these things themselves. And I can tell you from experience that trying to do it all yourself can wear you down and kill your project's potential over time. I'm sure I'm missing some other contractors you might consider working with. So who would you add to this list? Are there any here you hadn't thought of while working on your own book? If you've already released one or more books and you could go back and do it over again, would you bring in any of these professionals to help? Share your thoughts in the comments below. I’ve never heard about indie publishing team before, so was good to know what does this term imply. Sometimes it’s so difficult to imagine how many people work on this or that book when you see it on the bookshelves at the shops! Its really nice to know your thoughts on hiring people and how Indie Publishing Teams is build up. Moreover its tough for a business owner to bring quality people on board and at the same location; struggle with all the formalities of hiring a full-time employee. Hence hiring them on contractual basis is a win-win situation for both sides. @Editage we also follow the same strategy of hiring freelance professionals as per the need basis and we are all happy with this setup. Great article, Jennifer Mattern. I believe that it is very important for every author to understand whether they are qualified enough to do all the things themselves. Even when they manage to be a Do-it-yourselfer, it is not assured that the quality of work will not get compromised. It is also my opinion to hire an expert for achieving the best for your work outcome. And now with the attrition rate and service fees at an all-time high, it makes a definite sense (or it is necessary) to hire a freelancer for each individual project. Thanks for sharing this important information and enlightening me with the best option to pick. All your articles have been a great help in making the correct decisions— Just like this one.